With a laundry room like these, who wouldn't want to do laundry? Creating a space to do those daily/weekly chores we put off could be more enjoyable with a fresh makeover. Here are some inspirational images to help you brighten up your space. Here are some of my favorite mud/laundry rooms. 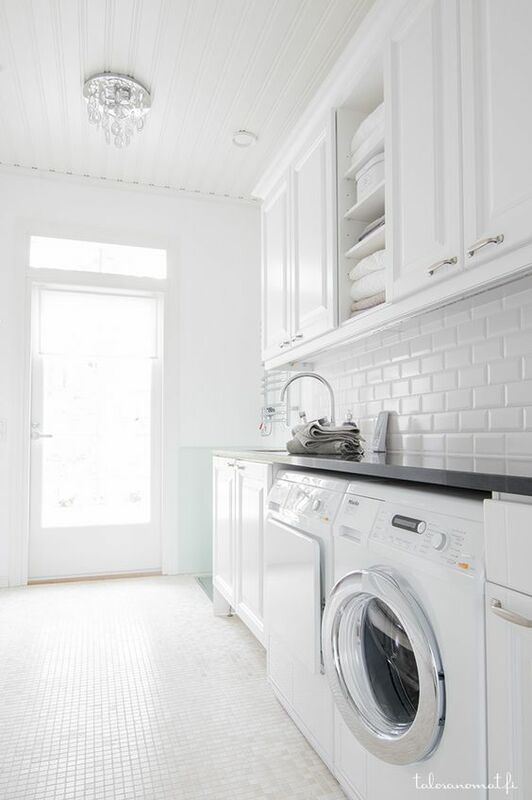 Love this beautiful white and gray laundry room. 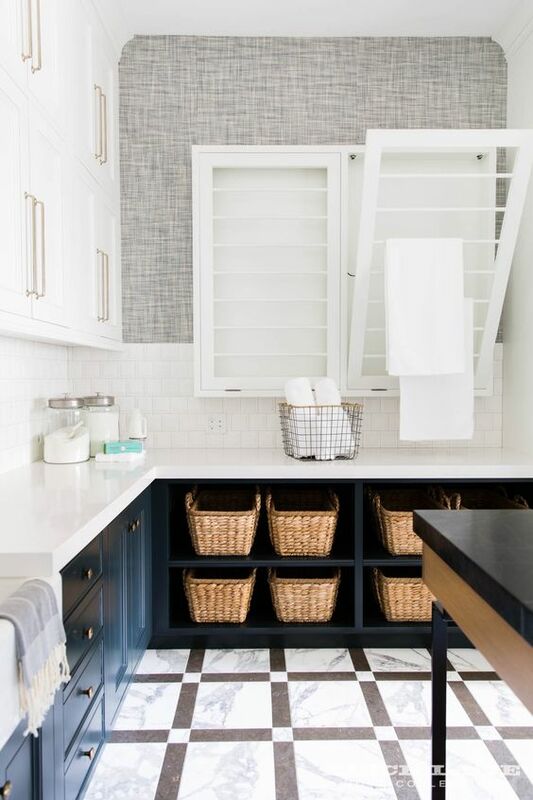 The contrast between the cabinets and herringbone tile floor is striking. I love a good contrast!